Manchester United look to have been handed a major injury boost ahead of the Champions League game with Juventus with the news that Emre Can could miss out. According to Goal, the summer signing from Liverpool, who has made a fine start since moving to Turin this term, could need surgery on a thyroid problem. Can is a strong defensive midfield player who will be important for tough away fixtures like this for Juventus, but they may have to reshape their midfield slightly for the trip to Old Trafford. United host the Italian giants on Tuesday night after a run of just one win in their last six games, so will take any good news they can get in terms of players possibly missing the game for their visitors. Juventus will just hope it’s not too serious and Can can return soon, though Goal report that they have talented youngster Rodrigo Bentancur ready to step in in his place. 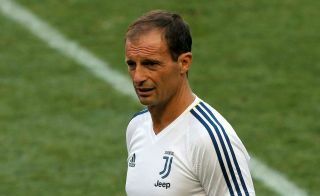 Having signed big names like Can and Cristiano Ronaldo this summer, many neutrals will have Massimiliano Allegri’s side down as one of the favourites for the Champions League this year, though they will of course need to keep those big-name purchases fit.